In Britain P. rosenhaueri has been recorded only from Lesser Garth cave and Ogof-y-Ci near Cardiff (Chapman 1993). It has been recorded from Ireland, Spain, France, Belgium, Denmark, Germany, Switzerland, Hungary and Poland. This species is a blind troglobite which lives in the network of cracks and fissures that permeate the limestone (Chapman 1993). Females have been found in July, but adults probably occur all year. 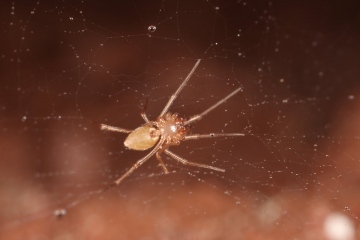 The spider has been recorded on very few occasions, and is threatened by quarrying in one of the cave systems. Quarrying may be a threat to these cave systems (Chapman 1993). Ensure statutory protection for cave systems in which it occurs.